Here I will show you how to make the cute popular Korker Bows. You'll need Korker Ribbon, Scissors, needle, thread, a lighter (or candle) and a clip. 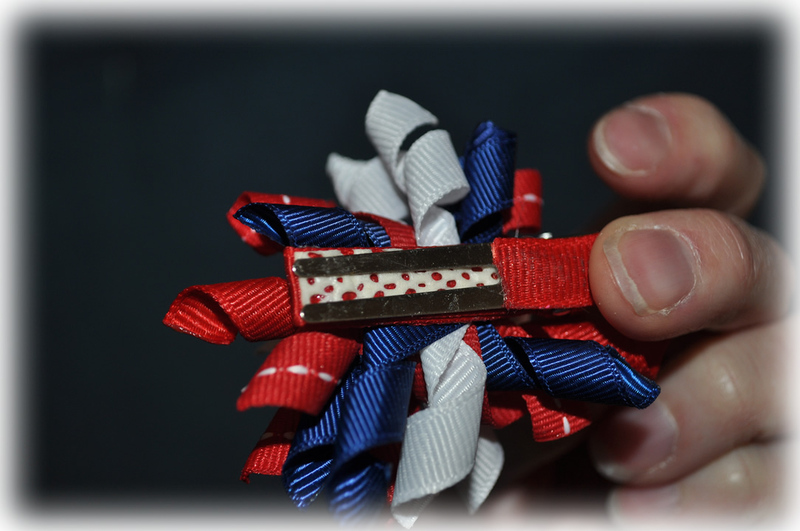 First, measure your korker ribbon. Cut in 2" segments for a small korker bow. 3" for medium and 4" for large. The ribbon should be 12" long. So you'll get 6-2" pieces out of one or 4-3" pieces or 3-4" pieces. 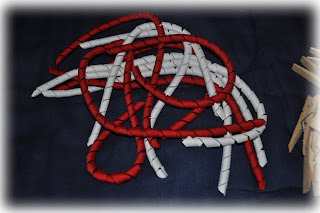 Cut all your ribbon to the desired size. Lay out your ribbon in the order or the pattern that you'll want it in the bow. 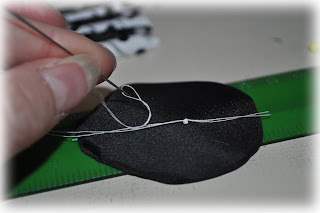 Next, thread a needle with whatever color of thread you'd like to use. (Preferably a coordinating color). 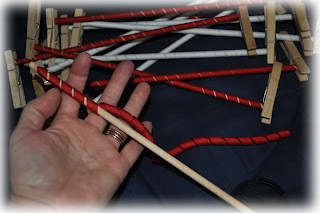 Tie the knot at about 1 1/2 to 2 inches from the end of the string. 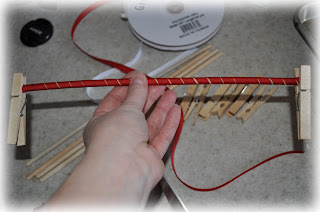 Pick up your first ribbon color and skewer it with the needle in the center. Next, pick up your next color rotate as you put it on the needle. 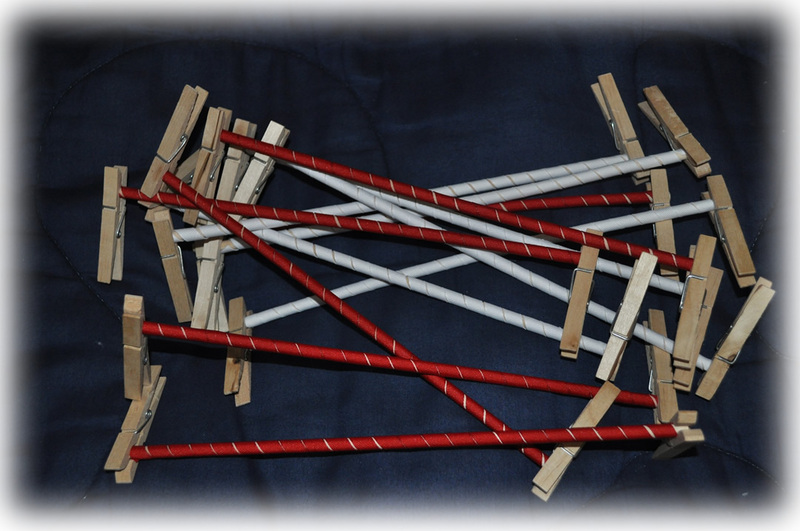 Continue with all Korker ribbons for bow, alternating positions of each korker piece. 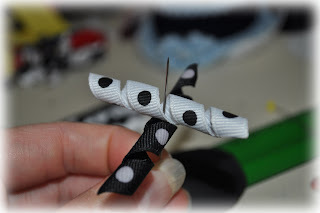 Be sure to keep the ribbon on the needle. Careful not to let it slide down the thread just yet. When all pieces are on the needle, hold ribbon pieces with your hand as you pull the string through til the knot. Then carefully poke kneedle back down through the center of all pieces towards the back and pull until tight. 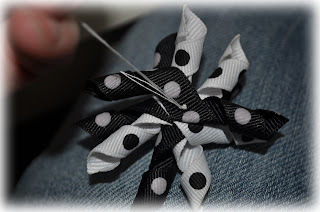 You can thread back and forth through all ribbons another time to make it more secure. 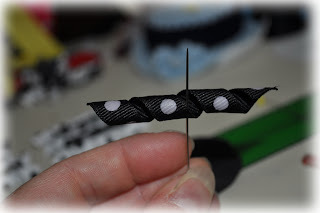 Now use the extra 1 1/2 to 2" of thread in the back to tie together. 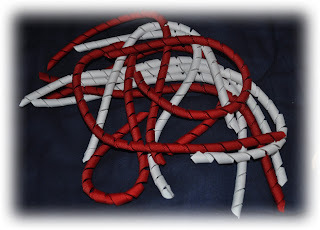 I would tie two or three knots. Cut off the remaining thread. 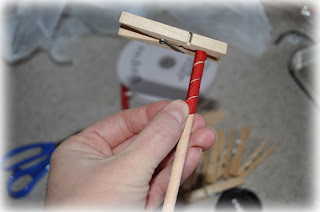 Glue your clip where the string knot is. You can use different widths of ribbon and try mixing many different colors. The above work is mine it is copyrighted. Please feel free to follow the instructions to create your own korker bows, but please don't copy my work, pictures, instructions as your own. You'll need ribbon, scissors, 12" wooden dowels, clothes pins (2 for each dowel), and fabric starch (not pictured). 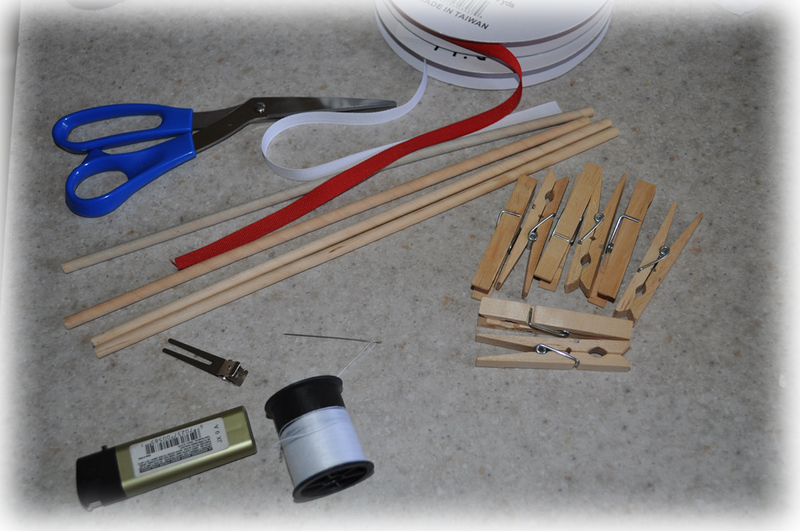 The thread, needle clip and lighter are for the actual bow. 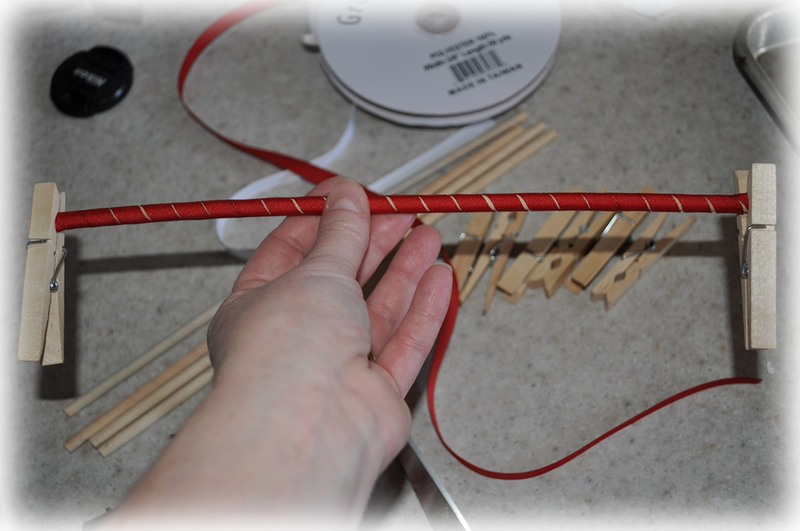 Start by wrapping one of the 12" dowel rods with ribbon. Use clothes pin to keep the ribbon in place on the dowel. 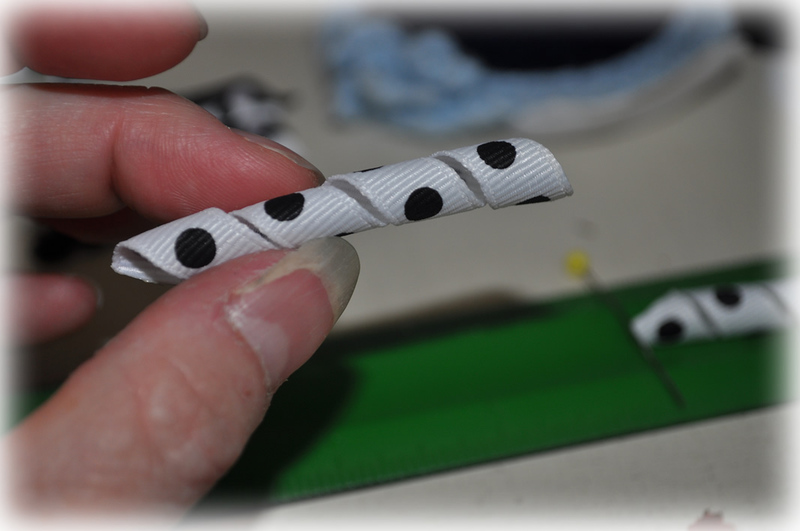 Next continue covering the dowel with desired color of ribbon, without overlapping. 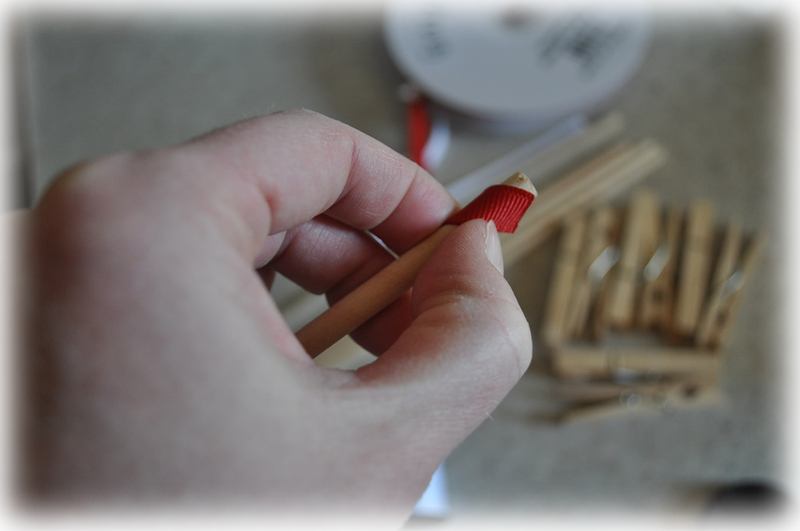 When you reach the bottom, cut ribbon with scissors and clip with another clothes pin to keep the ribbon on the dowel. 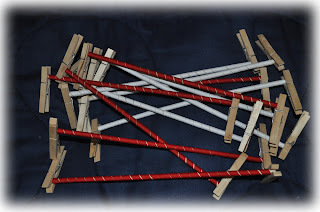 Continue until all dowels are covered in ribbon. 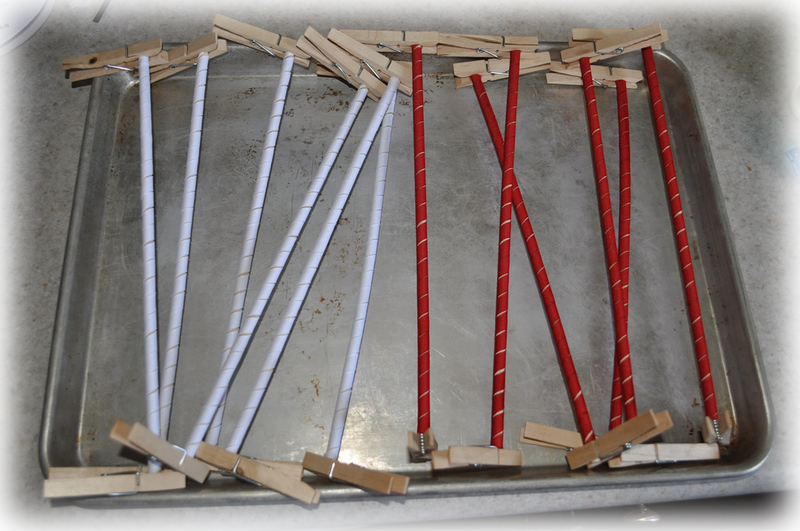 Now spray each dowel & ribbon with starch. 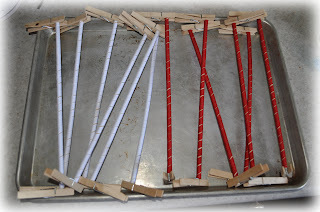 Hold the dowel over a garbage can or the sink and spray with starch. Then place on a cookie sheet. You may cover the cookie sheet in foil to protect the pan. Bake in oven at 270° for 20 minutes. 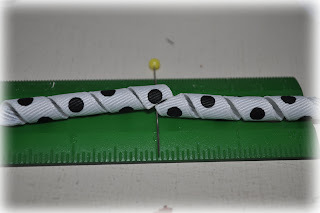 The starch will help the korker ribbon to stay that shape. You might notice a strange smell from the cooking ribbon, but it won't hurt anything. 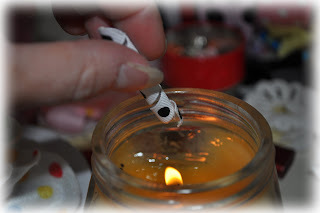 Also, the wood will not burn. Some people suggest soaking the dowels in water first, but I've never done that and I've never had a problem with a dowel burning. When baking is done, let cool and remove from pan. Cooling won't take long. WOW. It's been too long since I posted. I am 9 months pregnant for the next couple days and I'm hoping when my baby gets here, I'll not be too far from posting again. 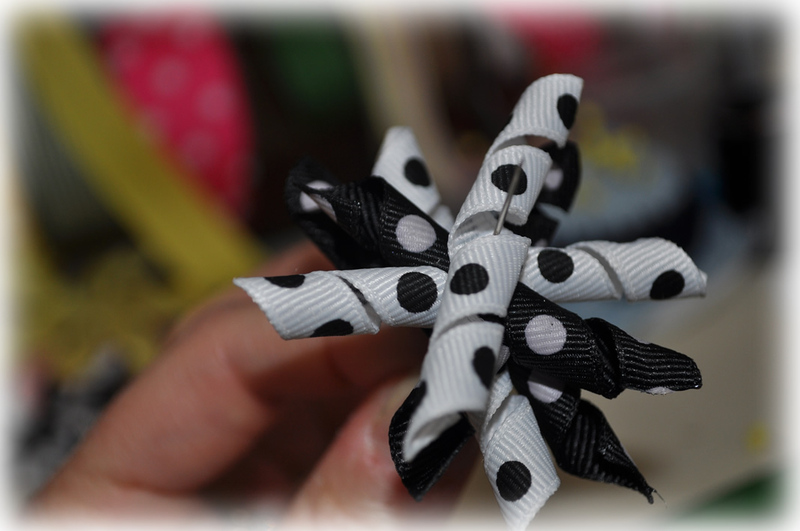 We have some super cute new flower designs/ and bows!! 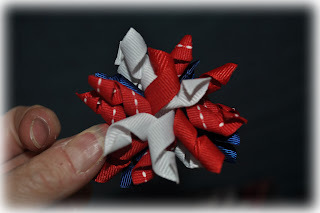 I have the directions complete for Korker bows, but just need to post them. As always I will do custom work. Just email me if you need anything, or need me to match any outfit! Little Miss Clips & Nivi Empowerment Open House! 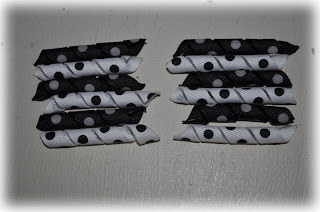 featuring Nivi SKIRTS and Little Miss CLIPS. Nivi Empowerment Initiative is a non profit humanitarian effort dedicated to helping improve lives of the impoverished. Rabekha, Susan and Alice Mary currently live in India and have suffered much. Nivi provides material for these women and they create beautiful patchwork and other skirts. These skirts are very unique and versatile. Proceeds from the sales of the skirts goes back to these women to help them and their families live better lives. Please come and see! 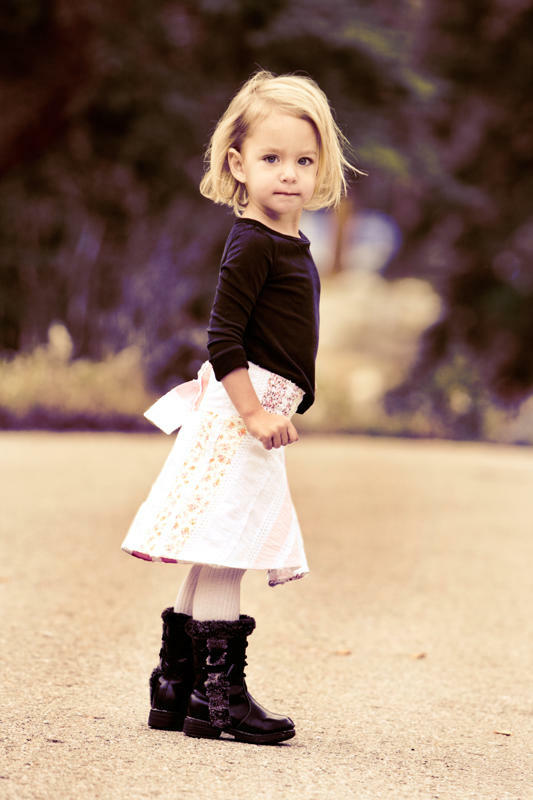 We have all sizes of skirts; from toddler sizes to adults. They are perfect for any occasion. The skirts are wrap around and can be tried on over any outfit. 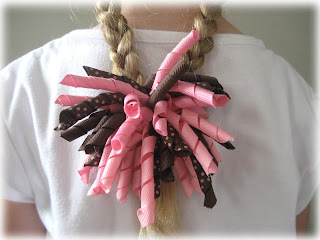 Also featuring Little Miss Clips. 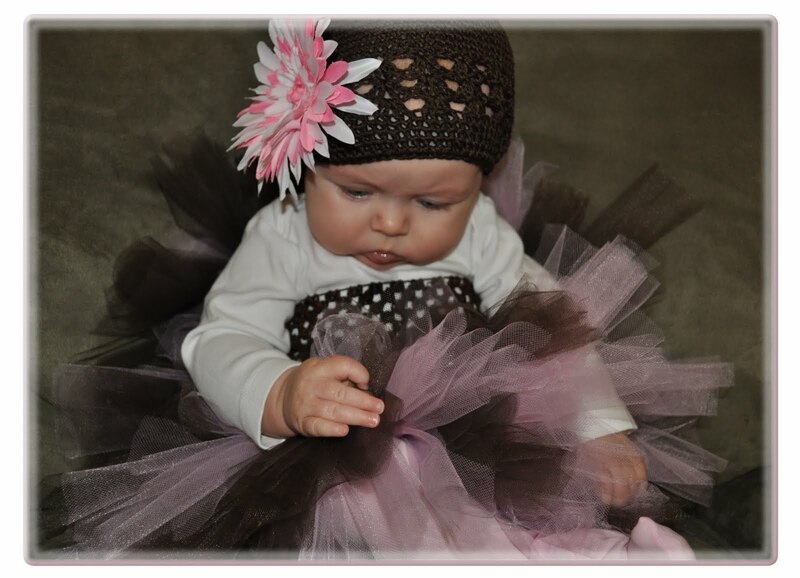 We have Hats, Headbands, Flowers, Hairbows, clips, etc. 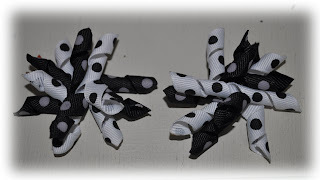 Bows and headbands from 50cents. All headbands are interchangeable. All attached to professional style alligator clips covered with a no-slip design. Bring your daughter's dresses to find bows/clips/flowers that match! 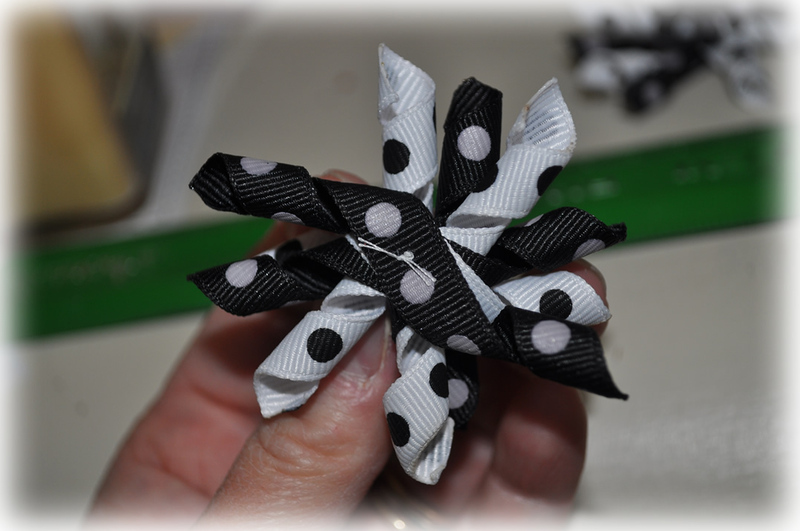 Or, I'll custom design any type of hairbow. FREE hairbow with skirt purchase. Hey, I finally got an Etsy account. I only have two products listed right now and it says I only have one available, I actually do have more and I'll re-list them after I sell one. Or, I'll change the quantity one of these days. 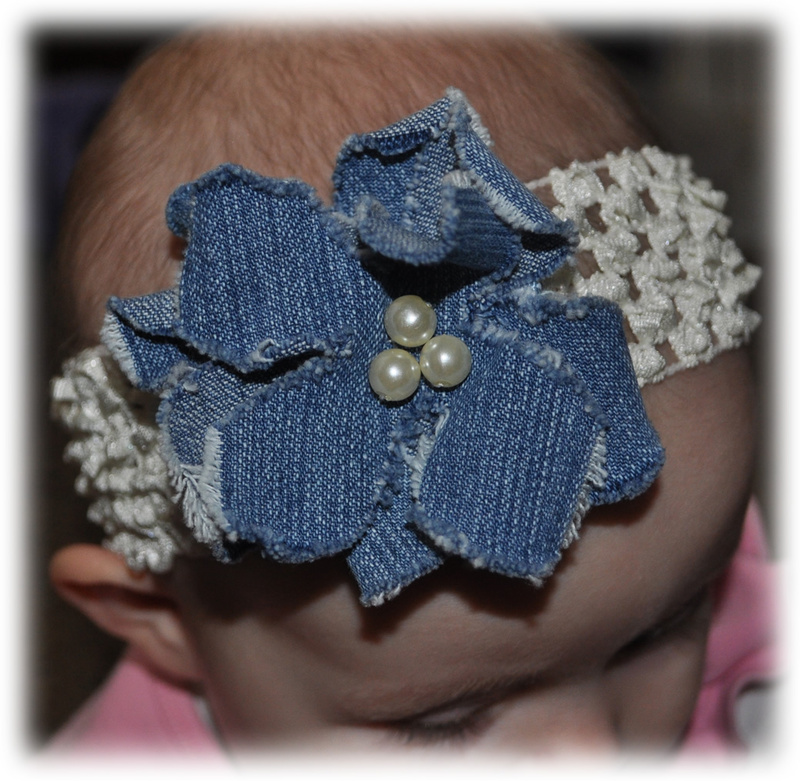 I am in love with this Denim FLOWER! Email me @ littlemissclips.blogspot.com to order. My 7 month old daughter drew the name (to make sure the drawing was completely unbiased) and before she put the paper in her mouth, I read Amy's name! :o) Thank you to all my followers. I appreciate the feedback. 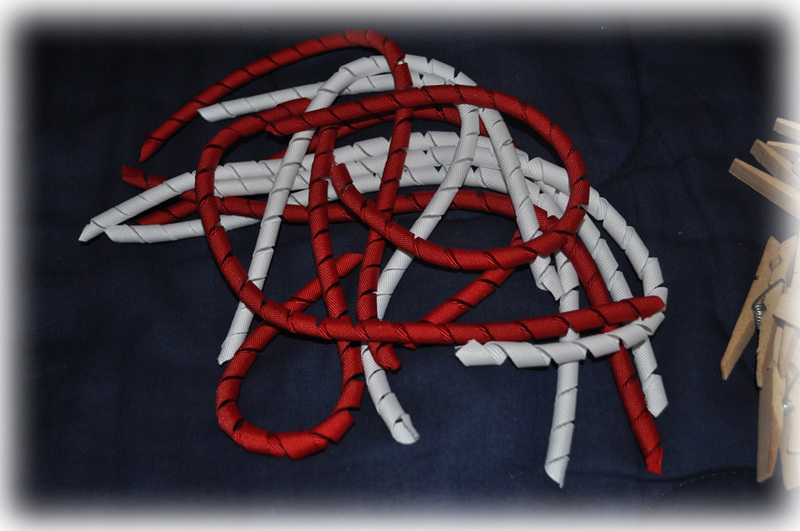 I will continue to do the non-slip clips, unless when you order, you ask me not to. Is anyone interested in an Open House? I was thinking of having an open house this month with sales on flowers and headbands in stock. I know it is a crazy month, so it might not happen, but if I knew of the interest, I might just make it work. FREE CLIP Drawing for my followers! Feedback needed! There will be a drawing for all my followers December 1st. 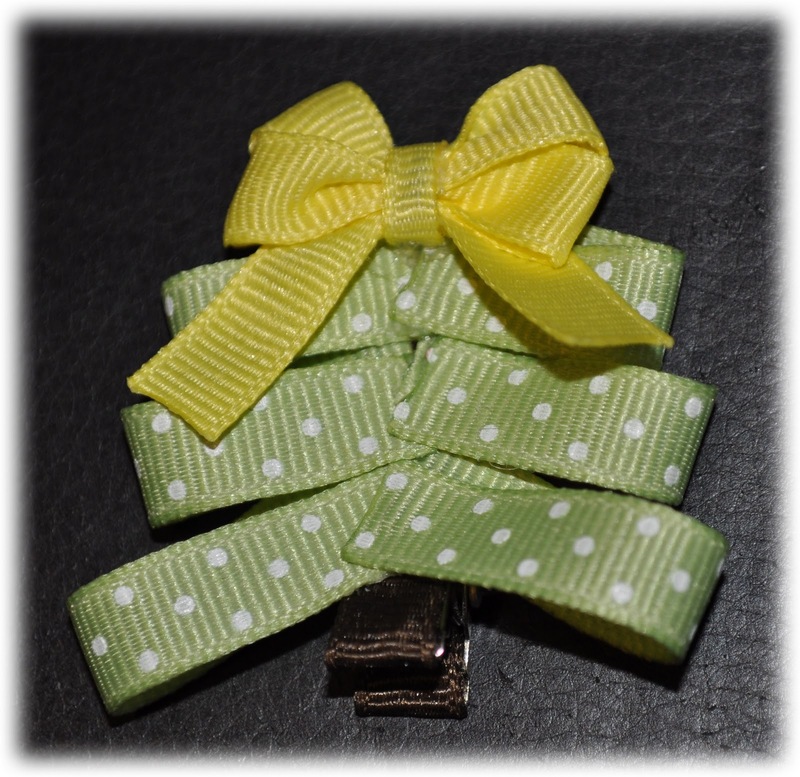 I am giving away this cute Christmas Tree Clip to the lucky winner. If you are a public follower, I will add your name to the pot. 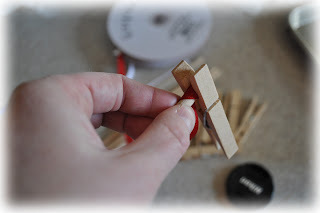 If you leave a comment with some feedback, I will add your name a second time. If you are a private follower, leave a comment and remind me that you are a follower. (Ask that I don't publish your comment and I won't). I need to know how my prices are, if I have the right products... etc. If you want to see different things, ie tutus, fairy wings, more unique items, etc, let me know. I was just at a boutique and noticed my prices on headbands might be slighty high. I will be lowering those. If you don't tell me, I won't know! :o) I appreciate your feedback. Oh, I also was told the non-slip clips are overrated, but I know some of you love them. Let me know if you want me to keep that up! Come to our boutique. Great christmas gift ideas! Mention this blog at the booth and receive $1.00 off any one regularly priced item. 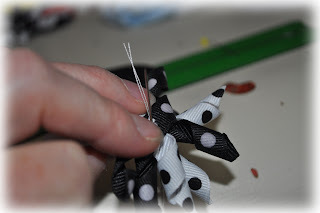 All bows are made with grosgrain and satin ribbons, or hand-crocheted and are attached to a high quality single pronged or double pronged salon style alligator clip with a no-slip design. Perfect for even the finest hair! 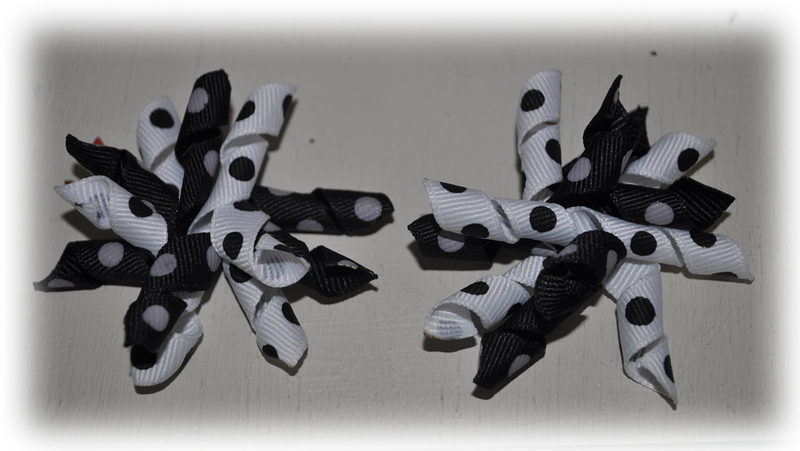 If you don't find a style of bow or color that you would like, please email me littlemissclips@gmail.com. REMEMBER Orders of $20 or more, SHIPPING is FREE! I currently reside in Lehi UT, and am occasionally in Brigham City, Orem, Spanish Fork, and Lindon. If you are local we can arrange for a pick up. 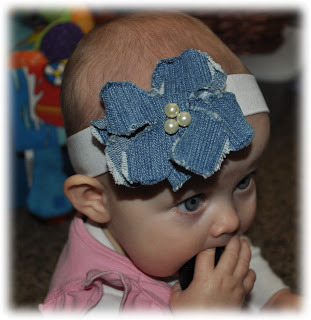 I love making hair clips & seeing them on your beautiful girls!! Handmade Tutus. Precious, sweet and fun. Perfect for any season! Affordable Vinyl Lettering sayings for every occasion. Words, phrases, sayings... all perfect for bathrooms, bedrooms, living rooms, kitchens, etc. Inexpensive wedding announcements, christmas cards, birth announcements; all custom designed for you.